The 2017 Chevy Spark LS, now for sale in Naperville, IL, was a top 10 pick for U.S. News critics thanks to features like OnStar Guidance, tire pressure monitoring, 4-wheel ABS, Hill Start Assist, StabiliTrak, a roomy hatchback design, and much more. 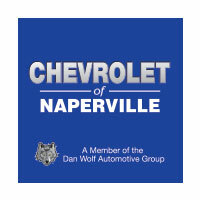 Explore our inventory and find the petite gas-sipping Chevrolet Spark you’ve been dreaming of, then keep reading to see why when you want quality and value, Chevrolet of Naperville should be your first stop. Low prices and great features on the 2017 Chevrolet Spark LS for sale at Chevrolet of Naperville aren’t the only reason to stop by. Our sales department has scoured the web to find the rebates and incentives to help bring the cost of this affordable car down even further so when you fill out your credit application and finance your new baby, you know you’re paying the lowest price around. We also offer a long list of accessories in our Parts Department that allow you to make the diminutive hatchback uniquely your own. You can even schedule your two complimentary maintenance visits with our Chevy-certified service center and relax knowing your car will be taken care of as if it were our own. Contact us today to find out more about the services we offer or to schedule a test drive of your new Spark and see how much you can save.